The region has recently been fulfilling its potential. In 2004 influential wine critic Robert M. Parker Jr. made 12 predictions in Food & Wine magazine. Prediction No. 6, “Spain Will Be the Star,” states that “by 2015, those areas that have traditionally produced Spain’s finest wines (Ribera del Duero and Rioja) will have assumed second place behind such up-and-coming regions as Toro, Jumilla and Priorat.” While that remains to be seen, the regions Parker singled out have certainly been on the move. 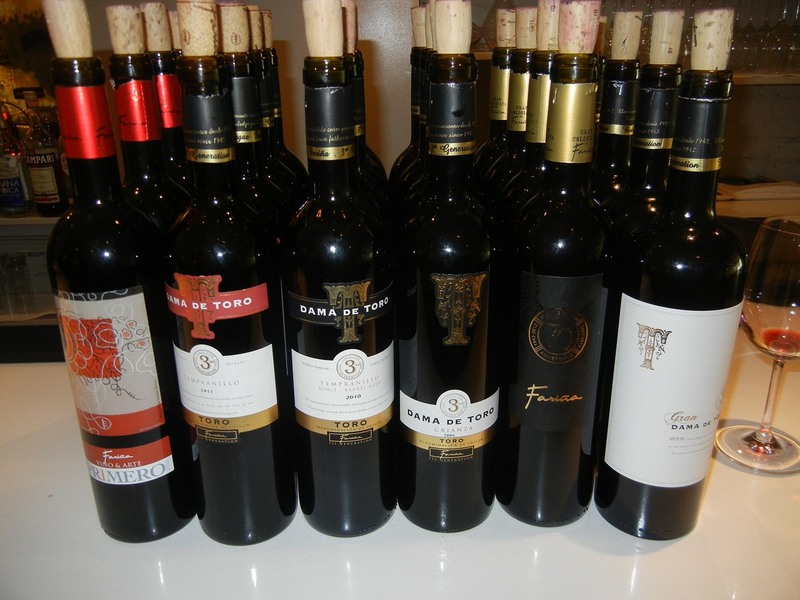 To become familiar with the DO, you’d do well to start with the family-owned Bodegas Fariña, established in 1942. Proprietor Manuel Fariña Sr. is known as the founding father of Toro owing to his pioneering efforts in the ̕70s and ̕80s. He brought worldwide attention to the region and modernized the style of its wines. After harvest dates were moved up by 4 weeks, for example, alcohol levels were lowered from 17% to 13%-13.5%. Fariña introduced stainless steel temperature-controlled fermentation tanks about 30 years ago. He steered what had been a jug wine business into high-quality, Bordeaux-influenced bottled wines. The Toro Dama de Toro Tempranillo 2010 (SRP* $11) goes well with most foods, which, along with its reasonable price, makes it a fine house wine. It’s soft yet intense, fruity (aromas and flavors of cherry, raspberry and other berries), has good acidity and a velvety texture. Fariña Especial 70 Aniversario 2009 (SRP $25) celebrates the winery’s 70th anniversary. Aromas and flavors of red and black berry fruits, spice, black pepper and chocolate. Elegant, well balanced, firm tannins, good structure, will age well. Made from vines that are at least 50 years old. The Toro Gran Dama de Toro 2006 (SRP $45), Fariña’s premium wine, would cost twice as much if it were from a prestigious region. An elegant, powerful, complex wine with flavors of cherry, red berries and spice. Full bodied, with a silky texture. Made from 80- to 90-year-old vines. NB: I tried these wines at a press event.